I admit to having a yarn bowl fetish. I’ve controlled myself, so far, and only own two. Two pretty, ceramic, handpainted ones I mean. I have another three felted yarn bowls that I’ve made myself with varying degrees of success. Then I have a standing army of plastic “up-cycled” yogurt containers that I use as yarn bowls on-the-go. You see, my yarn bowl fetish is not limited to the expensive or the decorative. I do like those kind. But I like the functional and cheap kind too. I like the little bowls and the big multi-ball bowls. I may have even been known to cruise for pictures on pinterest of deliberately ugly yarn bowls. I just like yarn bowls. They are quite handy. So for this Thursday, the day that I try to dedicate to stuff that I like, I give you yarn bowls. Some you can buy, some you can make. Let’s start with some nice, traditional yarn bowls, the kind that are hand-made, hand-painted and will look so charming on your coffee table. A bowl like that might not make you a better stitcher but it will make you look more dignified when you are ripping out a dozen rows and cussing like a sailor. I think you need to put one of these on your Christmas list. Or just buy it for yourself and then ask for ANOTHER ONE for Christmas. Here is a bowl that’s economically priced at $25. You are supposed to paint it yourself. But if you are like me and couldn’t win a finger painting contest against a 2 year old, then you can just leave it alone and claim that you like that white modern look. If you are ready to make your own all you need is a wooden bowl. And a Dremel with a wood bit. And someone who knows how to use a Dremel with a wood bit. Or you can make a yarn bowl out of yarn. I’ve gone that route a few times. My best effort, and the only one I let people see, is in the header image up there. 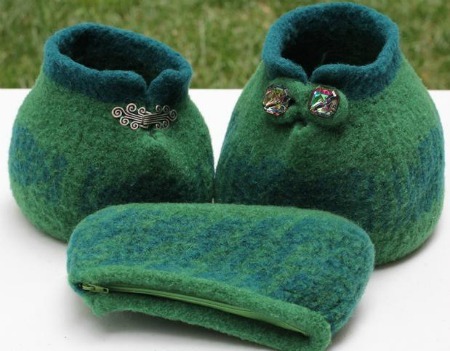 Felting is a crap shoot. 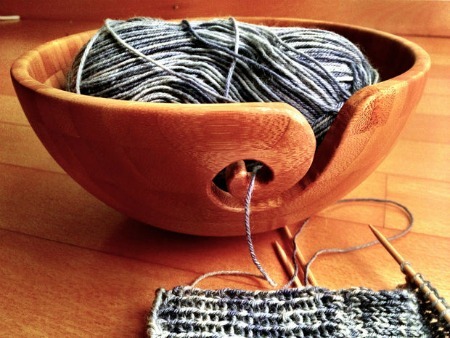 But if you happen to have lots of feltable yarn laying around and a burning need for a yarn bowl, I recommend the Small Yarn Bowl pattern by Molly Conroy. 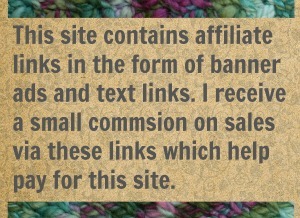 The link above is to a ravelry pattern and that’s where I first saw it and fell in love. But I want to point out that Knit Picks is selling a pattern for the same price, by the same designer, that includes instructions for a small bowl, a large bowl, and a zippered accessories pouch. It seems like the version on Knit Picks is a better value. Now, are you ready for some ugly yarn bowls? 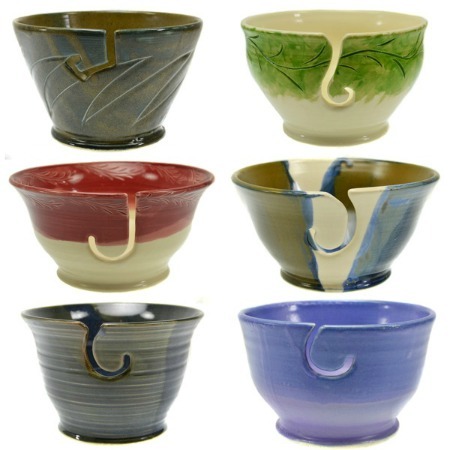 Some disgusting and absolutely unique yarn bowls that you can post to social media and be sure of getting people’s attention? Just a friendly face to join you while you knit or crochet. Aren’t they something? Now if this is the kind of bowl you want, you’ll have to wait a bit. They are wildly popular. Each one is made when you place your order. The artist cannot keep them in stock. At this time she is no longer guaranteeing delivery before Christmas. Why? Because tons of crafters have to have these ugly bowls in their living rooms of course! Just how many yarn bowls do you need? Good question. How many WIPs do you have going? 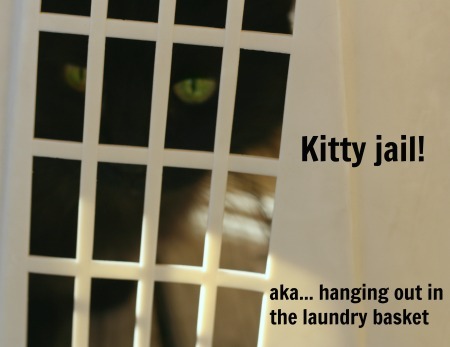 How many balls of yarn do you own? Since we can’t buy enough bowls to lovely hold all of our yarn (probably) I’m going to go with a safe answer of “more”. You always need another yarn bowl. I do. That’s why I find myself cruising etsy way past my bed time for pretty, glossy yarn bowls. And if you have a yarn bowl and want to show it off, just a reminder: you can upload pictures in the comment section. Just paste a url link of the image and we’ll all be able to “ohh” and “ahh” over your bowl. * What’s an affiliate link? Its a link to a product sold by a company that I have a commercial relationship with. It means that if you follow a link from me to them, and buy something, I receive a small percentage of whatever you spend. Its like a commission. Your price does not change. My commission comes out of the seller’s profit. Affiliate links are how I pay the expenses of running this site without having to give it over to a bunch of annoying advertisements. 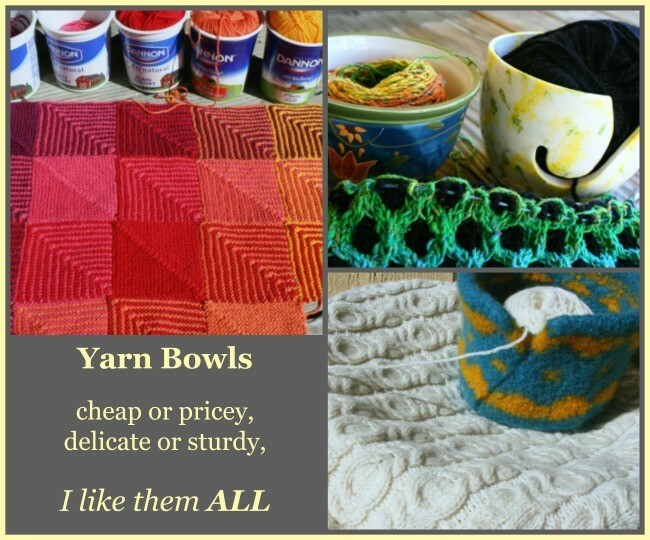 13 Comments on "So I Like Yarn Bowls"
Those are certainly interesting! 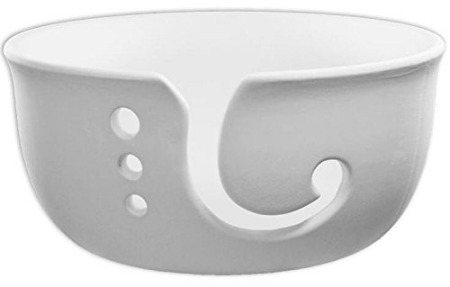 A domed yarn bowl for the ultimate in yarn protection. Thanks this is a good tip for Christmas presents. Well you are welcome but of course I hope you mean presents for yourself! Those are the best kind of presents. Oh what lovely ideas and links. Yogurt containers are an all purpose go to. For the wooden bowl (it’s cat safe) I have a Dremmel, wood bit and know how to use it. I bet one of my local thrift stores has a wooden salad bowl or two……cheap. I just might have to give this a try. Thanks. I was think that too… wooden = safe from cats. And they make it look so easy in that tutorial. Let me know how your bowl making endeavors go! Good Thinking about the gin & T! What a great idea. An old drip coffee pot would make a perfect portable yarn container. And that tip about the gin is just perfect. Outside with knitting and a cocktail on a lovely day. That sounds just about perfect. And I hope “Santa” brings you one.